Is there any research to back the latest smoothie craze? According to Matt Ruscigno, MPH, RD co-author of No Meat Athlete: Run on Plants and Discover Your Fittest, Fastest, Happiest Self, there is plenty of evidence that adding smoothies to your diet can boost your energy and reduce your recovery time. In the documentary below ten athletes diets and training remained exactly the same, except with the addition of a quart of a green smoothie each day. The results are incredible each athletes recovery times were much shorter and they were less sore after each workout. After watching those videos I’m sure you’re asking yourself now, what is the best blender for smoothies? First, let’s discuss why smoothies are so good for you. With less than twenty-five percent of Americans getting the fruit and vegetable intake they need smoothies are a tasty way to do just that. A smoothie is also a way to ensure you are receiving all the fiber and antioxidants your body needs to help you keep going, a little-known fact is that juices remove the much-needed fiber you receive from a smoothie. All of these benefits will ensure you find yourself with more energy, additionally, if you have a family you will find no easier and fun way to make sure your kids eat healthy vegetables such as kale and spinach. In order to make the perfect smoothie, you will need the right blender. To make a great smoothie ideally you want a blender with a minimum of 500 watts of power and a blade that can crush ice. The main two types of blenders are jar blenders and jug blenders with jar blenders being the most popular. Jug Blenders have many different spouts, if the main use for your blender will be making smoothies you will want to choose one with a large curved spout. While dispensing blenders seem useful they require much more cleaning so may be a lot more trouble. Blenders typically cost more for the more features they have however are typically worth the price tag since they will also have better commercial-grade construction. 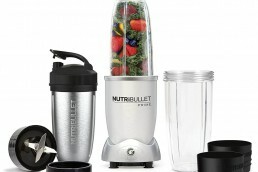 The Nutribullet Pro includes a larger cup than the standard Nutribullet and has a flip top lid. The Nutribullet Pro is fantastic for portability and includes a powerful 900-watt motor. Cleanup with the Nutribullet system is a breeze since you are blending right in the drinking up. If you have limited counter space this might be a great solution for your blender since it has such a small footprint. The convenience of this unit will ensure you make healthy smoothies regularly since you make it right in the cup a handful of ice, fruit and green leafy vegetables and you are 30 seconds from a delicious and nutritious smoothie. This blender is fantastic for the price point and by keeping the gaskets cleaned with soap and water this unit will last you a long time and be leak free. If you find yourself looking for an entry-level blender at a very reasonable price look no further than the Magic Bullet. The Magic Bullet has a 200-watt motor which while not strong can get the job done. The weaker motor will sometimes make it necessary to cut up any large pieces of fruit (especially frozen) before blending. This unit costs a fraction of other comparable higher end units but is able to take care of the basics with a little more effort. The magic bullet is a good option if you don’t have a lot of space. Cleanup is also simple with the magic bullet since you blend in the cup you can drink from or use for dip. While this isn’t a top rated blender if you are on a budget and want something functional it is an acceptable option. If you are looking for a really top notch blender that can help you out with day to day recipes such as soups, smoothies and frozen desserts, then this Vitamix Professional Series 750 blender may be just right for you. This blender is truly powerful as it boasts a 2.2 horsepower motor meaning it can blend your foods better and for longer. Not looking to babysit your blender? Perfect, as this one has 5 pre-programmed settings, meaning you can simply fill it with food, press a button and walk away. Let the blender do all the work for you as it will also turn itself off when it is finished. These pre-programmed settings also mean that you can achieve consistent results when repeating the same recipe. The friction and speed the blades move at means that you can make soup and heat it up in this blender in a mere 10 minutes, forget the pots, pans and the microwave! The Vitamix 750 is amazingly robust. Don’t worry about hurting it, as this blender can handle frozen food, nuts and coffee with ease, simply turn the blender onto a faster speed and they will grind down in next to no time. The NutriBullet High-Speed blender really does what its name entails. It pulverizes foods in an instant. This blender is quite fancy too, as it comes with 3 changeable blending cups. Meaning there is no need for washing up in between changing ingredients, simply swap to the next cup! The blender comes with 2 short cups and one tall cup, making life a whole lot easier. This blender comes with a whopping 8 horsepower motor, meaning that when it gets going, it really gets going and will have your smoothie ready before you know it. The strength of the blades means that they will cut straight through tough seeds, grains and stems. Nothing is too much of a task for it. Waste not want not, my mom always used to say and the great thing about this blender is that you don’t have to waste anything. It is completely capable of grinding down any food, even coffee beans and tricky cores, so you will never have to discard anything again. It is also great because it is small, meaning it won’t take up much space on your kitchen work surface and won’t end up being an eyesore, which let’s face it a lot of blenders really are. Vanaheim GB64 Professional Blender may just be the one for you. Planning a cocktail party? Not without this blender by your side! This model has the power to crush ice or frozen fruit and other ingredients in seconds, making the perfect slushies, frozen drinks and more. There is no food that is too tough for this blender. Use it to pulverize nuts, coffee beans, grains and seeds. The fancy LED display makes it easier for you to make adjustments to settings and see how much time is left before blending is complete on pre-programmed settings. Fed up of cleaning? Me too! This blender has a great self-clean function. Simply fill it with hot water and a little detergent and press a speed button and the blender will clean itself in a matter of minutes. All that’s left for you is to rinse and dry it. Easy peasy lemon squeezy. The super speed and friction from the blades means that you can heat up soups to serving temperature with this blender. Put the pots and pans away and leave it to it! 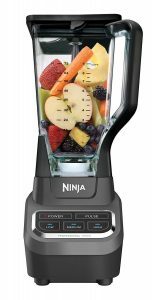 The Ninja Professional is the strongest blender we have covered so far in this article. This blender has a 1000 watt motor and does some serious blending. Just like this blender advertises it truly “blasts ice to snow in seconds”. This blender holds a maximum of 64 ounces of liquid which is fantastic for making smoothies with the family. This blender is plastic, not glass but it feels like a quality piece. The angled blades help to create a blend vortex that makes this blender work quickly and effectively. After filling the container there are audible clicks you will hear as you place the lid on and the blender onto its base to let you know everything is placed correctly. This blender for the price truly is a professional grade blender. In addition to being a quality piece of equipment the Ninja customer service is legendary, Ninja stands behind all of their products. 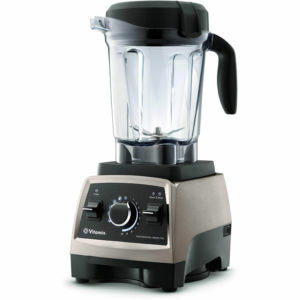 The Vitamix 5300 Low profile blender is a professional grade high-quality blender. This thing is powerful at a 2.2 horsepower, that comes out to over 1600 watts. At any point, while blending you can turn the dial to adjust the blending which is a pretty excellent feature and gives you full control. If you don’t mind spending up for quality and are looking for a blender that will last you many many years this is a fantastic blender. This blenders power allows it to not only make fantastic smoothies but also nut butter and soup, yes you can heat up soup in 10 minutes to serving temp. Another huge pro of the Vitamix is it is a low profile design for a full sized blender, this means if you have low cabinets or a smaller storage area this unit is more likely to fit. This is a really good investment that will last for years to come. If you are on an extreme budget and want a large blender with mid-range power that doesn’t break the bank then the Hamilton Beach 58149 might be for you. This blender has a reasonable 700 watts of power that slices through the ice and frozen fruit just fine. This blender brings a glass jar and at this price range is probably the best bang for your buck if you are not ready to invest yet in a more serious blender. The base of this blender has a handy place to store the cord so you don’t have to worry about it getting tangled on your counter or wherever you store it. 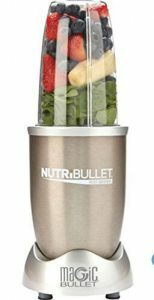 The main drawbacks of this blender is the base and lid are both made of a more flimsy plastic and you wont get the longevity from this budget blender as you would the others in this list, especially with continued use. 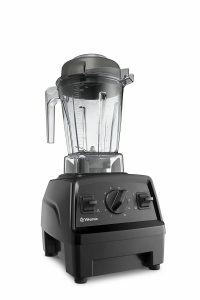 If you are looking for a jug/pitcher style blender but with something smaller than 64oz then maybe the Vitamix E310 is for you. This unit has a 48-ounce container so it isn’t quite as roomy as the others and therefore better for personal use or for a small family. This unit comes with a two horsepower motor which works out to slightly under 1500 watts, this blender has plenty of power to shred ice, frozen fruit or just about anything else you throw at it. With a blender this powerful you can make nut butter, soups, smoothies and just about anything else a commercial blender would be used for. This blender is a professional quality unit and has the price tag that comes with it but much like the other blenders Vitamix carries in this range it will last you and your family a decade and beyond. 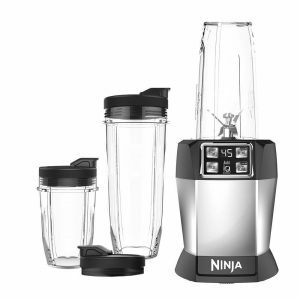 If you know you want a quality blender and are willing to pay up to the mid-price range but aren’t sure yet about the high-end units than maybe the Ninja Mega Kitchen System is for you. This unit comes in at a very reasonable middle tier pricing and has the power ( 1500 watts ) and many of the features of the top tier units and comes from a brand you can trust. In this complete package, the Ninja Mega kitchen system also gives you the option to use the 72 oz jug or one of the included two 16oz cups, you get the best of both worlds. With so many pros on this complete system and everything it includes the only negatives I could find are how loud this blender is in comparison to some others and also the build quality is not quite as nice as the higher end units covered in this article. At another entry-level price point we have the Hamilton Beach Wave Crusher. 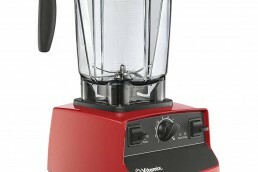 This is another budget or entry-level blender that gets the job done with its 700-watt motor but will require a little more work on your part to get your smoothie smooth and consistent. This blender advertises a wave action system to help force down mixtures while blending. The wave system works somewhat but just doesn’t have the same drive as a higher end blender will have. This Hamilton Beach unit also includes a nicer glass jar, but again as with units in this price range, the base and buttons are not quite at the quality you would get aiming for at least a mid-range priced blender. This blender is best suited if you are looking to just try out smoothie making before investing in something better or if you are looking for a blender on a real tight budget. 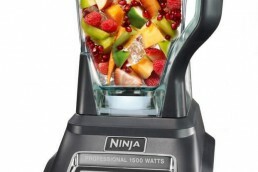 Right at the entry price point of middle range blenders sits the 1000 watt Nutri Ninja Auto-iQ. This unit has the power and blade angles to accomplish everything those other low-end units can’t for a modest price increase. This blender has an extra set of blades that aid so much more in blending your smoothie that much quicker. This blender is the ‘blend in your drinking cup’ variety so there is basically no cleanup whatsoever. Since this blender is part of the iQ serious it is great for if you find yourself like me and are unsure what buttons to push on a blender. With the iQ series you also get a countdown timer to display until your delicious smoothie is ready to go. If this blender is in line with your budget and you are looking for a quick one serving unit this is a fantastic blender. 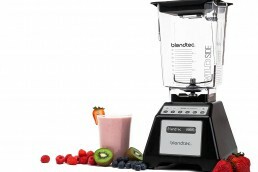 Next, up we have another high-end blender the Blendtec Total Blender with a 1,560-watt motor. 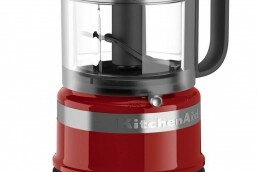 This blender includes a standard sized 64oz jar. Much like the other blenders in this price range this unit is multi-featured and can make nut butter, smoothies and also hot soup. Instead of using many sharp blades Blendtec has gone with a more simple looking, thicker, dull wing tipped safety blade which does not seem to impede performance to any degree that I could notice at all. If you have kids that you like to have sit on the counter with you while adding the ingredients to the blender this could be a better option since there are no sharp blades. This blender has fantastic build quality and will last you a very long time additionally this blender has a modern commercial look that looks great on any counter. Rounding out the high-end units in this article we have the Vitamix 5200. This unit lives up to the Vitamix name and is a very quality blender. 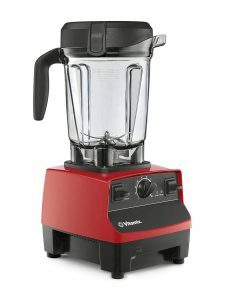 This unit has a 64oz jug and is capable of everything else the other Vitamix blenders also are. 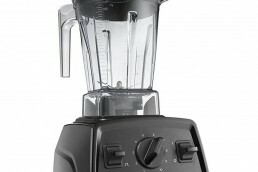 While this blender has the raw power and fantastic variable speed control it is lacking a pulse option. 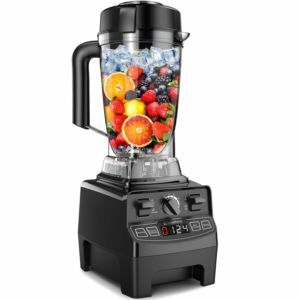 This blender will last you for years to come however it lacks the options of the other two blenders in this article the 5300 and the E310 and I would strongly suggest those over this blender for the price. 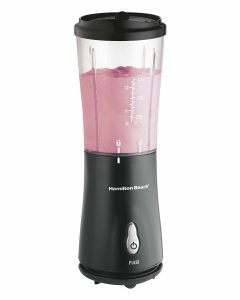 Finally, at the end of our list, we have the Hamilton Beach Personal Blender. As the name describes this blender is of the ‘blend in your cup’ variety and therefore requires no cleanup. This blender is by far the cheapest on our list and I would strongly suggest one of the other entry-level blenders on our list if you are on a tight budget. 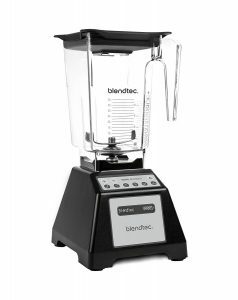 You get what you pay for with this blender and that is a 175-watt motor, however, the price of this unit is unbeatable and it does complete the job with some shaking. In hand this blender feels like a cheaper unit as expected and will clearly not have the longevity of other blenders covered in this list, however, again at this price point replacement does not really break the bank. 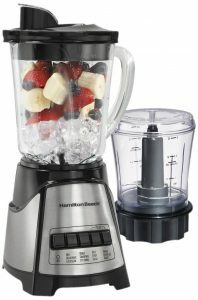 The Hamilton beach personal blender includes a one year warranty. Making smoothies clearly has many health upsides and there are plenty of options for find the perfect blender to fit your needs. If you are looking for a low-end blender to try out first to explore the Hamilton Beach blenders are a great option. 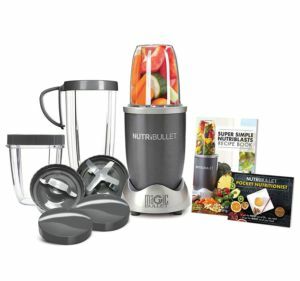 If you are looking for a mid-tier priced blender the Nutribullet pro and the Ninja Mega Kitchen System are great options. If you are looking to invest in a blender that will last you a long time and is the Ferrari of blenders I would strongly suggest the Vitamix 5300. Do you use one of these blenders? Let us know how you like it in the comments below! 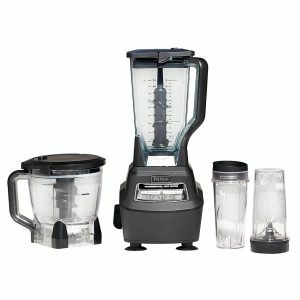 Vitamix 5300 Review – Do You Get What You Pay For? There are a lot of different blenders out there and the comparison chart shows just that. Is performance linked to price? For example is the Blendtec blender that much better then say Magic Bullet blender? I have the Ninja blender that does a good job but you have to be careful with the blades. They are very sharp. Got a few cuts to prove it. 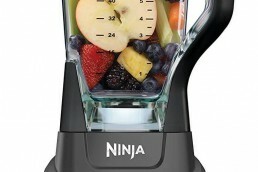 With the Blendtec having safety blades, does it do just as good of a job blending as the Ninja does? Great tips Dan! Yes performance is definitely linked to price, if your budget allows for it you will definitely get a better blender if you go for one that is a little more expensive. We are in the market for a new blender. My wife and I are really into smoothies now. I like the Vitamix and the Hamilton Beach but there are so many to choose from. The Hamilton Beach Wave Crusher looks awesome! What are the ratings with this machine? I know it’s a good brand and that they’ve been around for a long time but is this the best one for the money out of all the ones listed here? The one thing is, they’re not cheap at all! Hey Rob you’re right they are not cheap however, you usually get what you pay for. It’s hard to recommend a best blender for everyone has different wants and needs. You surely can’t go wrong with one of the above blenders. Glad you enjoyed the post Kenny! Thanks for your kind words Amer, one day you will be able to afford one of these! I have use plenty of different blenders in the past. I love to make my protein shake mixed with various fruits. So the underpowered ones is the one I hate. 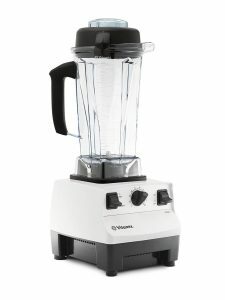 Since using Vitamix 5300, I do not have any more blender jams during grinding my shake. It is such a hassle to clear the jams by opening up the jar and shuffle the contents. Thanks for your comments Kit, glad you found the Vitamix 5300 worthwhile! Thanks for this interesting post! I love making smoothies but the equipment has always seemed way too expensive for me. However, I was pleased to discover the 30 pound blender you talked about. My thinking is that it would be best to buy the cheap smoothie blender first, and if I love it, consider upgrading. If not, I won’t have lost much! Do you think that would be a good strategy? That could be a good strategy, just remember the Vitamix blenders have a 7 year warranty! I agree the bullets are convenient and do specialize in smoothies! Hey Carl, nice post. Your post was very helpful and I felt like I really learned something from your comparison chart and the overall blenders designs on the site; it’s like why stop at trying to get one when you can find one that’s multi-purpose. I’ve always liked that Magic Bullet; my mother bought one a short while ago. Your post reminds that I have to get a blender so my wife and I can make shakes at home. Great job! Let me know which one you get and how like it if you decide to get one! It is the best review about blenders for smoothies, your chart of comparison is great! 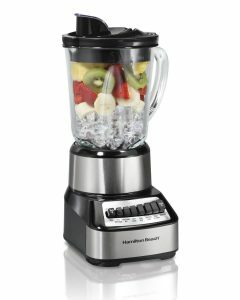 My blender is a Hamilton Beach (power 700), very good but when I try to blend vegetables always find some of the fibers, I don’t like this, it tastes horrible. I think, next time, I will try the Vitamix 5300 with high speed, I hope it will make the blend I like the best, with fruits and vegs. Thank you for this review. Great Maria, let me know how it goes if you decide to get one! It was great to see reviews on 12 blenders from several different companies and of differing qualities. Your honest feedback is much appreciated. The documentary movie was very interesting and definitely adds to your page giving more a of a reason to have a quality blender and live a healthy lifestyle. Do you know the average life span of mid range blender vs a lower end blender? The low end blenders could expire after a year or two while the Vitamix blenders have been known to last up to 20 years just to give you an idea. Thank you for this comparison article. I had no idea about how many different variations of blenders exist. I only really had heard of the Ninja Professional and the Vitamix 5300 before reading this. Due to all these different options, it can be very hard to make a decision for which one to buy. That’s why I really appreciate comparison guides like this one! 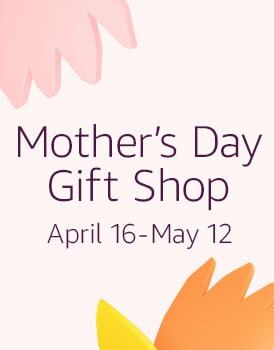 Anytime Ios, there are dozens more out there theses are just our top recommendations! Loving this site , I am huge fan of smoothies and although I currently have a Nutribullet which I love, it is great to see your take on all of the others. I definitely have more energy consuming smoothies, they do use up a lot of fruit and veg, but quite frankly it would be the only way I actually get enough of them inside me as I am not really a fan of eating! Awesome, thanks for your comments! It’s good to select the Best Blenders for Smoothies that have options that you simply want and most significantly it is easy to use. Some blenders have a pulse button that permits you to merely push the button to do start mixing. For instance, the “Ice Crushing” button to crush the ice.